Leah Vukmir won Wisconsin's Republican primary for Senate Tuesday night and will now face Democratic Sen. Tammy Baldwin this fall. Vukmir, a registered nurse and state senator, defeated businessman Kevin Nicholson by seven points. 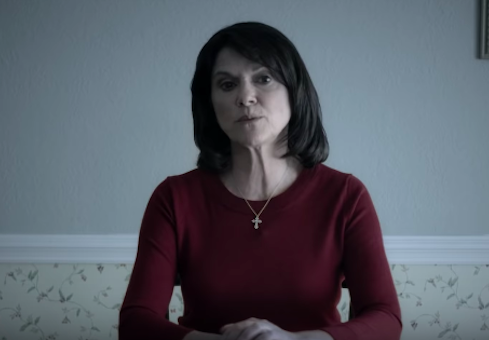 Vukmir received endorsements from the Republican Party of Wisconsin, Rep. Paul Ryan, and members of Scott Walker's family during the primary. "Wisconsin needs a senator who represents and will work for the people who make our state great — not the far left or out-of-touch elites," Vukmir said. "Sen. Tammy Baldwin has been a disaster our state. She's put America last, supporting the dangerous Iran deal, standing with extremist socialists like Bernie Sanders who support government-run health care, and failing our veterans at the Tomah VA."
"I am the fighter Wisconsin needs. I'm a middle-class nurse and mom-with-a-cause who is here because of circumstance, not ambition. I know we can bring our Wisconsin victories to Washington, and that's the message I will take across the state this fall." Baldwin's campaign sent fundraising emails as soon as the race was called for Vukmir seeking donations for her campaign, which has already hauled in $18 million in total contributions this election cycle. Vukmir's campaign, by comparison, has raised $2 million throughout the Republican primary and spent $1.5 million of that amount. Both Nicholson and Vukmir received backing from deep-pocketed donors throughout the primary. Richard Uihlein, CEO of Uline, a shipping-supplies company, poured millions into groups that backed Nicholson while Diane Hendricks, owner of ABC Supply, a roofing company, backed Vukmir. Prior to Tuesday's primary, Uihlein and Hendricks agreed to a unity fundraiser to support the nominee in an attempt to defeat Baldwin this November. This entry was posted in Politics and tagged 2018 Election, Tammy Baldwin, Wisconsin. Bookmark the permalink.